Rittal is supporting control and switchgear engineering on the way to Industry 4.0 with its new VX25 large enclosure system. The company now permits the merging of real and digital workflows for significantly greater efficiency thanks to maximum data quality and consistent engineering. Rittal now offers web-based software tools so that plant constructors can convert to the new enclosure system quickly and easily. With the VX25 conversion assistant for parts lists (www.rittal.com/vx25conversionhelp), free data and an intelligent selector and configurator, Rittal is simplifying the transition from the TS 8 enclosure system to its new VX25 large enclosure system. Control and switchgear manufacturers who want to increase their productivity and bring it in line with “Industry 4.0“ need all their data to be of the highest possible quality. The new Rittal VX25 large enclosure system supports control and switchgear engineering with complete, high-quality data for every process along its value chain – from electrical planning through mechanical design to manufacturing. 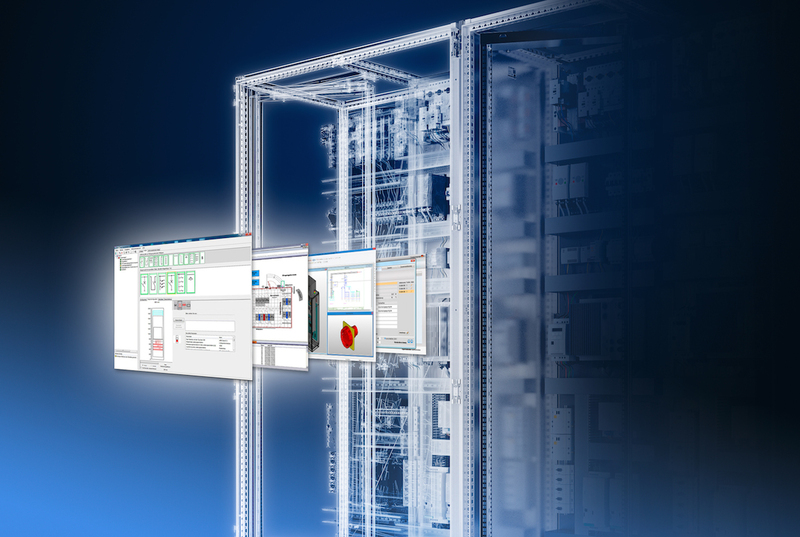 A variety of web-based software tools are available from Rittal so that companies can quickly, easily and precisely convert to the new enclosure system. Parts lists from the earlier TS 8 enclosure system can now be easily turned into VX25 parts lists with the VX25 conversion assistant. TS 8 parts lists from projects that are to be used again need merely to be loaded into the conversion tool as an Excel file by drag and dop. If the Excel columns are selected based on model no and quantity, the user will receive the desired VX25 parts list with just one click. The program automatically displays items of no relevance for the VX25 in the list. Afterwards, the converted parts list can be simply downloaded or directly placed in the shopping cart for online ordering. TS 8 Model Nos can also be entered individually via a search field, and corresponding VX25 Model Nos and additional product information can be quickly found. Besides this, plant constructors are also given support in converting from TS 8-based 3D enclosure layouts to VX25 system technology in EPLAN Pro Panel projects. The replacement of TS 8 enclosures and accessories for VX25 articles is largely automated. 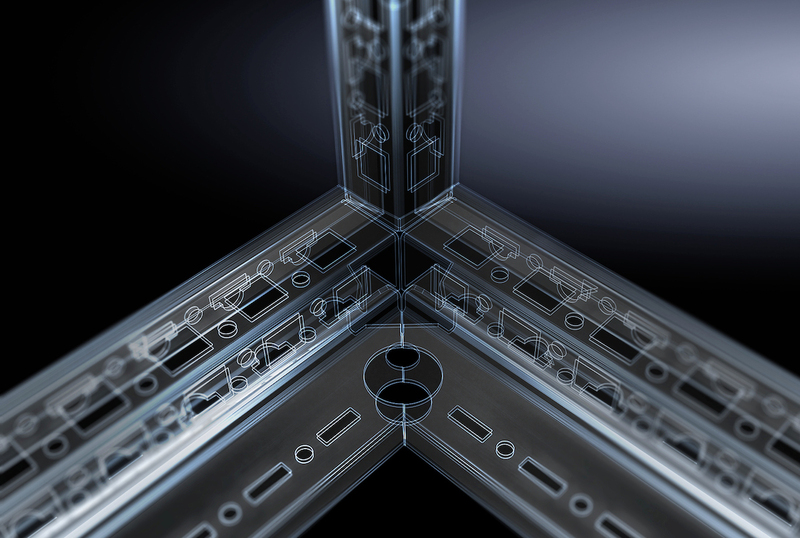 Rittal provides further help in converting to its new large enclosure system with the easy and free download of detailed, validated CAD data in more than 70 formats, enabling the flexible transmission of data to all common CAD systems. The EPLAN Data Portal can also be employed to load macros of the VX25 bayed enclosure system for mechatronic engineering using CAE/CAD and for generating 3D enclosure layout with EPLAN Pro Panel. Moreover, Rittal offers data for the VX25 for classification as per eClass (Advanced) and ETIM. With the VX25 selector, Rittal enclosures can be easily selected and the corresponding accessories found for appropriate applications. The enclosure types included can be populated to suit individual requirements with a pre-selection of common accessories. 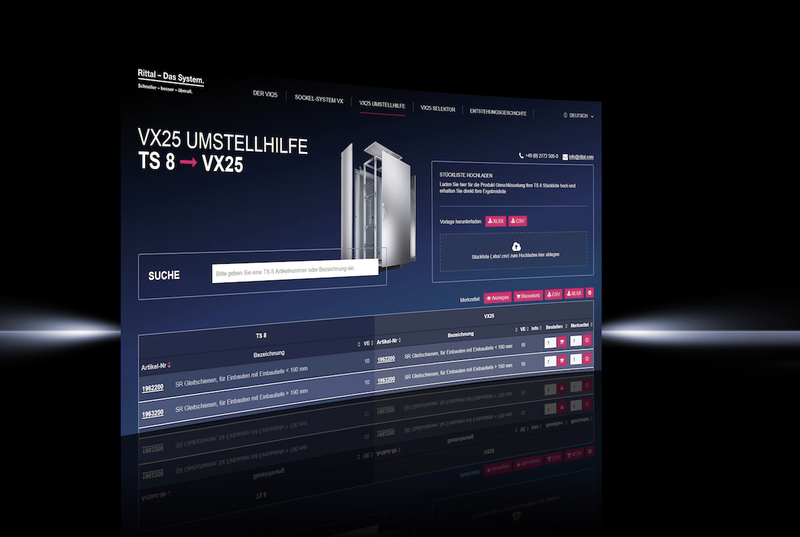 The web-based configurator Rittal Configuration System enables simple and error-free configuration – even without prior CAD knowledge – of the VX25 and the desired installation components. The tool permits the configuration of free-standing enclosures and bayed suites based on the VX25 – a task that is “plausibility checked”. For example, while accessories are being placed, the system will automatically check if the selected components can be placed at the chosen location. Machining can also be planned with the Rittal Configuration System since the configured data package not only contains the parts list but also a CNC program for the Perforex machining centre and a 3D step model of the complete enclosure including the accessories. This way, the data on the enclosure flows directly into the machining processes. The items configured can be ordered directly via the linked online shop, which makes the ordering process even easier.